With a great reputation for dependable customer support and leading-edge tech innovations that they get to the web hosting space, if SiteGround is not among your prospective hosts, then your list is actually lacking. Check first our recently published blog post about how to choose best hosting company. Their attention to details is reflected in rigorous UX testing, their 24/7 customer support and their supreme uptime. Whether you are looking for a first-time, shared, cloud or dedicated hosting, I think SiteGround is ready to meet your requirements with their top tier features along with incredibly polite and responsive approach. SiteGround has lots of customers. It is recommended on different forums and blogs by many. They are one among the youngest behemoths in the hosting industry. Still they have managed to earn a great name. That’s quite impressive, so they should be doing something great to attain such heights quicker than most of its predecessors. Fast loads? Decent uptime? Good support? Additional premium features? Read this SiteGround review to find out what makes it the best and cheap web hosting service provider for you. SiteGround reviews : What Is Included In The Basic Features Of SiteGround? What do In-House, Reliable Server Features of SiteGround offer? Chosen very carefully, SiteGround has its data centers at Chicago, London, Amsterdam and Singapore. A highly qualified team of SiteGround’s system administrators ensure to perform constant monitoring, upgradation and protection of these serves. How do SiteGround offers Fast and Reliable Email Hosting? What Is Included In The eCommerce Features Of SiteGround? If you are looking for the best website hosting for eCommerce, I suggest that you can rely on SiteGround’s exclusive hosting solutions. With their eCommerce features your site is better supported and safer than anywhere else. How do SiteGround offer Unbeatable Security? I have found that SiteGround offers many security options, giving it an edge over its competitors. These security options are available for websites of all sizes and shapes. How to Manage Your SiteGround’s Account Easily with Control Panel? cPanel Mail Section – With this section, you can do many jobs with email accounts from creating email accounts, forwarding emails, removing accounts, webmail, etc. cPanel Files Section – This section include tools including backups, legacy file manager, backup wizard, FTP accounts, file manager, backup restore, FTP tutorials, FTP session control, etc. cPanel Domain Section – Through this section, you can easily manage your subdomain, addon parked domains and domains, set redirects for URLs, domain name transfer, domain ID protection, register new domain, manage DNS configuration of domains, etc. cPanel Security Section – This section offers tools including IP deny manager, password protect directories, Leech Protect, Hotlink Protection, site security check, etc. This section’s tools also let clients to secure different parts of their sites from any unauthorized access. What Are The Smart Services Offered By SiteGround? SiteGround offers 4 main web hosting plans with each plan offering different packages at different prices. Here is a quick rundown of SiteGround’s Hosting plans. The Startup Plan: This plan is started for an excellent start. It offers you all important hosting features needed to accommodate a getting started site or an already existing average business website, personal website or blog. It even works well for small online shops. It is suitable for you if you have just 10K visitors per month. Features include Free website builder, Free domain name, SSH and cPanel access, Free setup and transfer, SSD storage, 24/7 technical support, Free daily backups, Unlimited DBs and emails, HTTP/2 enable server, Free CloudFare CDN and WordPress and Joomla. The GrowBig Plan: If you require premium features and more resources besides the essential features, then GrowBig Plan is ideally crafted for your website growth. It is intended to accommodate multiple average sized sites or single, heavily trafficked site or those who get 25K visits per month. The plan is quite popular among those who like to host all websites in one account only. Their features include SuperCacher or premium speed, Tickets answered with priority for premium support, 30 backup copies kept or premium security, Unlimited websites, 1-year Wildcard SSL certificate for free or premium eCommerce and Premium WordPress and Joomla. The GoGeek Plan: If you’ve a resource-intensive website or a heavily visited website and are a real web geek, then is plan is the best option for you. It is also great for average sized eCommerce sites as it accommodates larger products line and includes server PCI compliance. Machine resources shared amongst lesser users. Features include, PCI compliance for e-shop, 1-click staging for Joomla and WordPress, 1 year SSL certificate, 30 backup copies of your site, Allows multiple websites and SuperCacher for improved speed. VPS hosting is no longer offered by SiteGround, but it now boasts Cloud Hosting. This new Linux based hosting platform is intended to easily auto-scale with the traffic surges, in order that your website does not go down because of lack of resources. Entry Plan: With this plan you will get 2GB DDR3 RAM, 1*3.0 GHz CPU, 5 TB bandwidth and 20 GB Disk Space. Business Plan: Need more? Go for a business plan. It is perfect for small businesses. It includes 2GB DDR3 RAM, 2*3.0 GHz CPU, 5 TB bandwidth and 40 GB Disk Space. Business Pro Plan – If you have a medium sized business, you can choose this plan. It has 3GB DDR3 RAM, 2*3.0 GHz CPU, 5 TB bandwidth and 60 GB Disk Space on offer. Enterprise Plan – Best for large businesses and enterprises, this plan offers 4GB DDR3 RAM, 4*3.0 GHz CPU, 5 TB bandwidth and 80 GB Disk Space. For those who actually want to take benefit of cutting edge technology by SiteGround, dedicated hosting is the best way to go. Creating, storing and running an online business on SiteGround’s dedicated, managed server will offer you the control and power you need. Available across 3 tiers, SiteGround Dedicated Managed Hosting is one of the best hosting service. Entry Server Plan: With this plan you get Intel Xeon E3-1230 CPU, 4 CPU cores, 8 CPU threads, 3.20 GHz clock speed, 8MB CPU Cache, 4GB DDR3 RAM, 5TB Bandwidth and 500GB SATA II HDD. Power Saver Plan: With this plan, you get Intel Xeon E3-1270 CPU, 4 CPU cores, 8 CPU threads, 3.50 GHz clock speed, 8MB CPU Cache, 16GB DDR3 RAM, 5TB Bandwidth and 1TB SATA II HDD. Enterprise Server Plan: You get Intel Xeon E5-2620 CPU, 2*6 CPU cores, 2*12 CPU threads, 2.00 GHz clock speed, 15MB CPU Cache, 16GB DDR3 RAM, 5TB Bandwidth and 4*500GB SATA III / RAID 10 HDD. What is the price range of different SiteGround packages? All the SiteGround’s hosting plans are available at very reasonable prices. It is one of the cheapest web hosting services provider From basic web hosting plans through to enterprise dedicated hosting, SiteGround has a plan for every need and budget. Is the Migration Process of SiteGround Simple or Complex? Similar to many other hosting services providers, SiteGround can also transfer your existing site from the previous host for free. Moreover, SiteGround’s experts take complete care of all heavy lifting, making sure that you will not face any downtime during the process. What I found about Performance of SiteGround? With SiteGround having four main data centers, it offers quick server performance. As one of the best performance based hosting provider, SiteGround is a well-liked hosting company for most. According to Bitcatcha, response time of SiteGround for US (W) is 11 ms, US(E) is 57 ms, London is 147 ms, Singapore is 216 ms, Sao Paulo is 167 ms, Pune is 328 ms, Japan is 379 ms and Sydney is 349 ms, giving it a “C” in performance. Is SiteGround outstanding with its speed? SiteGround is one of the fastest speed Hosting services providers as compared to its competitors. It has an advanced site optimization caching system, SuperCacher, created to improve site speed dramatically. Siteground reviews : What uptime guarantee is offered by SiteGround? Website uptime is among the most imperative aspects of any hosting service. SiteGround offers solid uptime results. Average uptime of SiteGround as per our SiteGround hosting review is 99.96%, well over 99.9% industry standards and promise from SiteGround itself. Is the Customer Support of SiteGround praise worthy? The main focus of SiteGround is on its customer service and this shows in their many tutorials, wizards and knowledgebase. I will give SiteGround a 10/10 for its customer support. I tested the online chat of SiteGround and I was amazed at finding that how fast somebody came to help. I got connected with a representative within a few seconds. Their response was fast and clear as well. What does SiteGround’s Social Media Exposure show? With 9K + tweets, 11.5K followers on Twitter, 18K+ likes on Facebook, and 1K+ subscribers on YouTube, SiteGround is quite well-liked on different social media platforms. Without a doubt, SiteGround is a respected leader even on social media platforms. What is the refund policy of SiteGround? SiteGround allows users to cancel a plan within 30 days of when they were charged. What I found about SiteGround in Reviews On Other Websites? As per SiteGround hosting reviews on other websites, it is positioning itself clearly as the best website hosting for businesses. Its services are designed for mom and pop shops, individual businesses and sole proprietors that do not have fancy skills or lots of time. It is also ideal for the people who deeply care about customer support, while never compromising on impressive uptime or fast page speeds either. SiteGround also offers some added features that may be ideal for you in case eCommerce is your aim or you would like your security to be dealt with by somebody else. So, SiteGround is most definitely recommended by even other websites. What are the Top Websites Hosted on SiteGround? Who do I Recommended SiteGround For? How to sign up with SiteGround? The process of sign up at SiteGround is extremely simple. Enter your current domain name or register a new domain name. Type in the your existing or new desired domain name and then click on Proceed. If your new desired name is available, move on, else enter another domain name. And you are ready to get started. 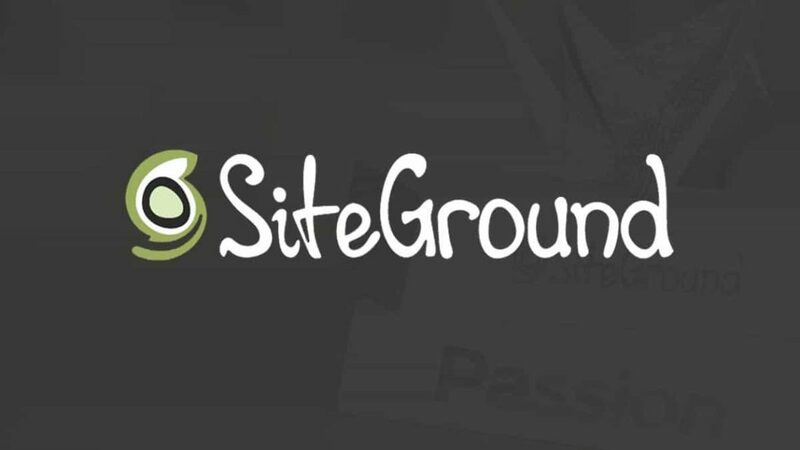 TagsSiteGround Why Is SiteGround Known To Be Crafted With Care?